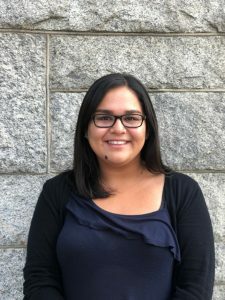 Maria Castañeda - Centro de los Derechos del Migrante, Inc.
Maria graduated from Swarthmore College with a BA in Peace and Conflict Studies and Spanish and a minor in Latin American Studies. Prior to CDM, Maria worked with immigrant rights organizations in the Philadelphia area, organizing community members to advocate for protections against ICE and expansions to the city’s sanctuary policy. Maria first became involved with CDM through an internship in Mexico City in the summer of 2016 where she focused on working with migrant women and Contratados.org.